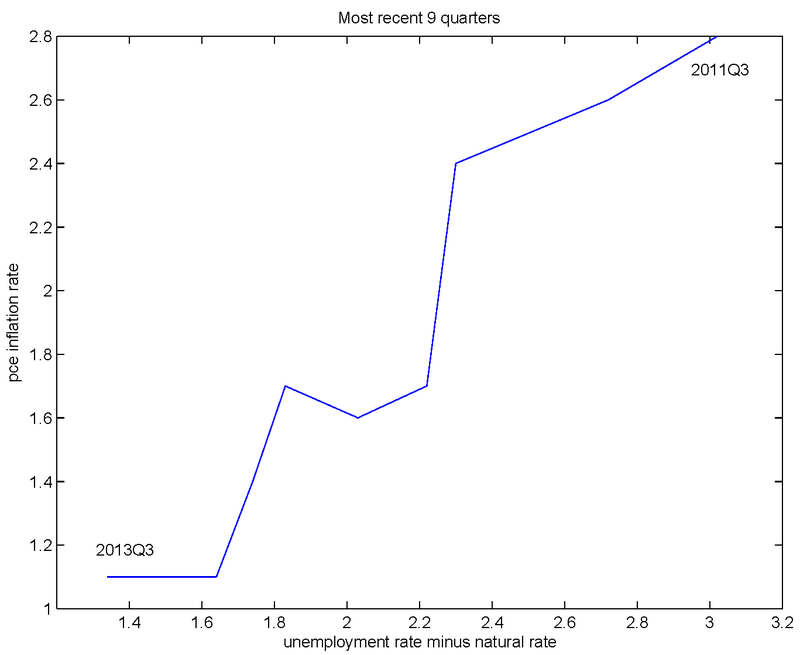 Stephen Williamson: New Monetarist Economics: Finger on the Pulse? Ricci and Benigno write down a model with downward wage rigidities, and get the result that Krugman wants. They basically assume it's technological. 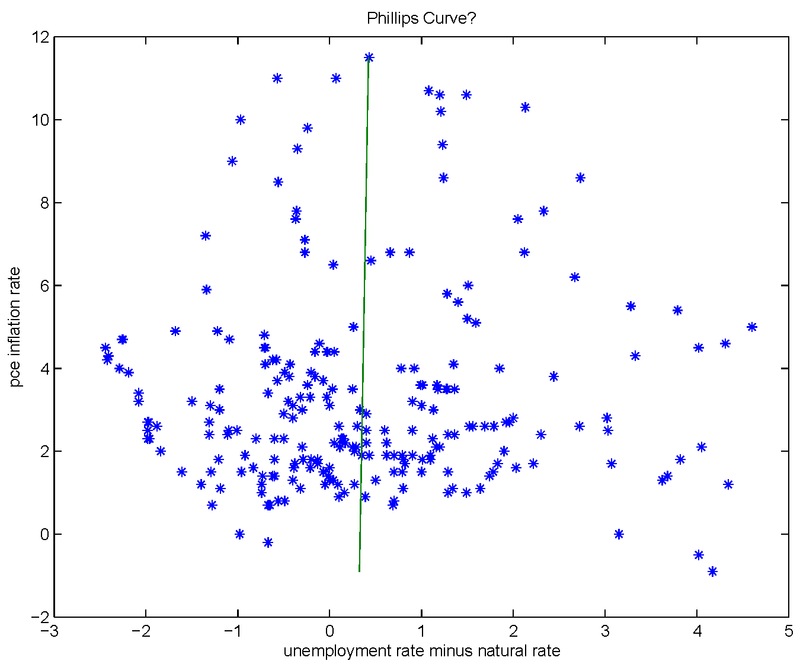 In the baseline model, the nominal wage is not permitted to fall. That's a pretty severe restriction to impose, and I'm not surprised that it generates long-term unemployment. There's a section in the paper, where the key assumption is relaxed somewhat, but it's basically the same idea. I don't see any attempt in the paper to confront the data. So far we have one working paper of dubious quality which says something about this. Still doesn't rise to the level of "wide acceptance," I think. it may not be the ultimate truth (no paper is), but it did pass peer review in of the best journals. While the folks around the Great Lakes live in a fantasy fairy world in which wages and prices change instantaneously to market clearing levels sane-minded economists incorporate an empirical FACT, wage and price rigidity, into their models. Not that you need a model to realize that Krugman's point which is by the way a point about the short run and not the long run. As Keynes already pointed out, the problem is that the short run can be pretty long, cyclical unemployment can endure for years during liquidity trap recessions. Krugman as well as Keynes never disputed that classical economics describes the world best in the long-run. They only point(ed) out that classical models are useless during recessions; e.g. whereas a higher saving rate would be a good thing in a classical world as it leads to a higher capital stock and thus higher output it is a bad thing in a recessions as it reduces aggregate demand, thus output and thus potentially even savings (if the negative effect on GDP outweighs the positive effect of the higher savings rate). And for eighty years some economists deny this simple, basic and obvious stuff, for nearly a century some economists are unable to understand that their Newtonian world describes most events very well but not extreme events, be it the world at velocities near the speed of light in physics or the behaviour of the economy in a recessions in economics. First, having spent the early part of my life across the street from Lake Ontario (Canadian side), I resent the disparaging comments about my homeland. Second, why are you being so defensive? I'm not making any sweeping comments about Keynesian economics vs. anything else. Steve, I have had this discussion with this or a like-minded anonymous so let me enlighten you. It does not matter whether you made sweeping comments or not. We know wages are rigid, because Keynes and his prophet Krugman told us. Everything else follows! How? It does not matter. What if most studies find an average duration of prices between half a year to a year? It does not matter. What if the duration of wages is shorter (hence the real wage is pro-cyclical)? It does not matter. 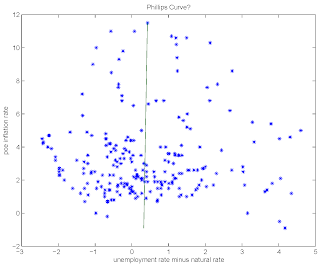 What if at best there is no Phillips curve in the data? It does not matter. Just repeat after me: "Wages (and prices) are sticky!" Everything else is a footnote. Are either of you arguing that nominal wages (or prices I suppose, though Nick Rowe is the only blogger I can recall discussing that) are NOT sticky? I had been under the impression that Williamson wanted to dig deeper into stickiness and explore the possibility that is an efficient way to set contracts rather than necessarily a market failure, since wages might be set differently (perhaps indexed to inflation or something) if people thought that was an improvement. Also, my recollection from Meltzer's "Keynesian Splenetics" (by way of someone else's summary I admit) is that sticky wages were a recommendation from Keynes rather than a diagnosis of the problem. New Keynesianism is very different from the economics of Keynes. @Wonks: Yep, those of us who read the General Theory (as opposed to those who talk about Keynes without having read him) know that Keynes thought that more wage flexibility would be destabilizing, i.e. lead to lower GDP / more unemployment. The problem is that the arguments in Ch.19 are hard to formalize (well, in general the entire General Theory is hard if not impossible to translate into maths which should not shock us as nearly 80 years later the key issue of macro is still complex and "unsolved"). So the issue of wage and price rigidity is complicated. From a classical perspective, present in the New Keynesian literature, stickiness is the key problem. If prices and wages were perfectly flexible an underemployment equilibrium simply could not arise, we would be in a Walrasian world. From a Keynesian perspective (rarely adopted by people who call themselves Keynesian (especially not the Old Keynesian Samuelson, Solow and Krugman bunch!) with some Post Keynesians and Stiglitz&Greenwald being the exception) money is the problem. When people save it doesn't automatically translate into an investment as we do not live in a barter economy, there is also money. So ironically Keynes is "monetarist" in the sense of viewing money being the source of the problem but not the solution as Friedman ignored that the velocity of money falls sharply in a recession and even more sharply in a liquidity trap. 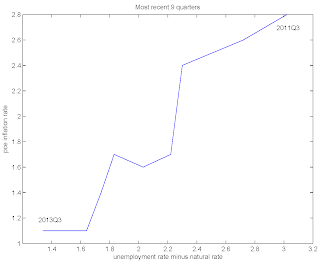 Frictions in the labor market are important to what is going on. I think we can agree on that. However, it seems pretty crude to model frictions in the labor market by assuming that markets are otherwise frictionless and competitive, but firms are constrained - in nominal terms - with respect to the wages they set. of course they are sticky. The question is whether they stay stuck long enough to generate fluctuations in output whose persistence matches the data. Micro studies (Bils and Klenow, 2004; Klenow and Kryvtsov, 2008) show that prices adjust in one to two quarters. And most studies find that wages adjust faster. Even Barattieri, Basu, and Gottshalk (2010), whose estimate of the average duration of wage stickiness is the largest out there as far as I know, find that it is only 5.6 quarters long. This is less than a year and a half. But the last recession started 6 years ago (December 2007). So you tell me, given the data, how much blame should one assign to nominal rigidity in wages and prices? I don't know. Let's take something like Shapiro-Stiglitz, 'searching model meets imperfect monitoring', you get a static and enduring underemployment equilibrium due to informational-incentive issues that doesn't interact with however you wanna model a recession (e.g. via a reduction of labour demand). Of course there are ample of ways to endogenize wage stickiness but at least in this particular example I do not see how a persisting market imperfection interacts with the business cycle.